It goes without saying that starting your business is no small feat. Whether you know someone who is an entrepreneur or whether you are one yourself, you understand that there are countless challenges and endless tasks that must be conquered on a daily basis. In today’s competitive and ever-changing world of business, any entrepreneur will do what it takes to make their business stand apart from the rest and be successful. Some resort to extensive marketing campaigns and social media strategies. Others will introduce promotions or discounts to get people in the door. 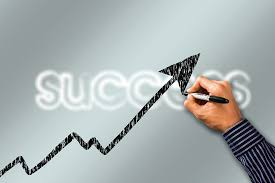 But another effective strategy of making a business successful may not be the first idea that comes into your mind; that business must join a local Chamber of Commerce. Here are a few reasons why joining a Chamber of Commerce will give any business owner a crucial leg-up. Chamber of Commerce publications such as guidebooks and newsletters are an effective way to highlight your business and increase the visibility for your product. They can also be an outstanding resource for tourists and local residents—it never hurts to have a great referral or two! Becoming a member of a Chamber of Commerce will drastically impact other organization’s perceptions of your business, which will also change the viewpoint of local consumers. In fact, according to American Business Magazine, statistics show that 63% of consumers are more likely to purchase from a business that is a chamber of commerce member, and 44% are likely to view that business more favorably. Because Chambers serve a crucial role in local government, they can be a powerful voice for your business. A Chamber’s main purpose, after all, is to reach common goals and to collectively advocate for the issues that matter most to your community, such as education, health care, and bond issues. They will work hard to improve the local business community as a whole by making your business and other businesses stronger. 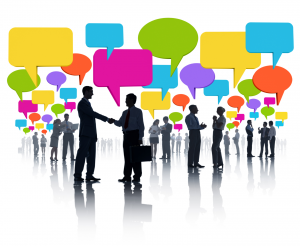 Another important purpose of a local chamber of commerce is to bring various professionals together and to discuss their successes, and even their failures. This is an excellent way to advocate for its members. Make it a priority to attend local chamber of commerce events—this will help you stay up to date on issues affecting your community and will allow you to form relationships with business owners like you. If you want to see what becoming a member of a chamber of commerce is all about before joining, we invite you to join the American Canyon Chamber of Commerce. We would be honored to welcome you to our community. Visit us in person at 3860 Broadway Street #103 in the heart of American Canyon, or call us at 707-552-3650 for more information.